Joe Frawley is a musician and composer, and a sound collage artist. His work is defined by the creative combination of his own improvisational piano playing, fleshed out with samples and sounds found in both natural and media environments. He has three records, to date. Wilhelmina’s Dream was put out in 2006, Tangerine in 2007. The Hypnotist is due in 2008. *Is there a story behind your name? I started out as a sort of neo-classical composer, self-publishing under my own name. Then, when I moved towards electronic music, I considered adopting some other hip moniker, but nothing felt sincere. Plus, I figured if someone named Harold Budd can find success with a name like that, then I should be able to as well. *Tape manipulations, digital deconstructions or turntable creations: Someone needs to invent a term to describe my music. I haven't found a genre that fits closely. When people ask, I call it "hypnotic, sample-based sound collage mixed with piano compositions.” I've also used "cinema for the ear.” As far as technique, I sample from a broad range of source material - any recorded media with sound is fair game. This sometimes includes works of other composers, though I'm trying to move away from that. All my work so far has been done using freeware, incidentally: Isobuster for ripping CDs, and Audacity for everything else. *Location: I was born in New York, but have lived in Connecticut most of my life. *What is your creative/artistic background: I studied music in college and all that, but I was educated more by listening to records than anything. I've dabbled in many different styles of music, since around 9 years old, but only now at 36 do I feel like I've found the work I'm meant to be doing. When I was young, my favorite rock music always had extra-musical elements. Sgt. Peppers was probably the first record I fell in love with. And, later, Kate Bush - especially her Hounds of Love album - had a big effect on me. The way the music on those recordings plays off of other sounds (voices, ambient noise, etc.) is very evocative and somehow deepens the listening experience. In a way, my work is an attempt to do that same thing with classical music (“Instrumental” is probably a better word, depending on your understanding of the term “classical”). I’m interested in exploring specific states of mind: dream-like states, nostalgia, fleeting memories, and the contemplation of beauty are all recurring themes in my pieces. *Born: I was born July 4, 1971. *Motivations: My "motivation" stems from my early listening experiences of the albums I mentioned, along with my current ambition to use those techniques in the classical/instrumental context. *Philosophy: My philosophy is simple: I open myself to all different kinds of sounds, and choose the ones which have some resonance with me. Many times, I think they resonate for subconscious reasons. From that I try to build a composition which satisfies structurally, using the repetition of motives, and other techniques, to build a kind of drama. Ultimately, I create pieces which please me, and hope that they in turn please some others. *How would you like to be remembered: I'd like for my work to be listened to well into the future. I don't know if it has lasting value or not, but I do think all artists are in some way trying to leave some sort of stamp. I'm no different, I suppose. Sawako is featured on the experimental electronic release, bRiCoLAge #1, put out by Illegal Art, with Seeland, in 2000. The album is composed largely of artists working with samples, but it's not clear whether or not Sawako works exclusively with media samples. She may not use them at all, in fact. This is one of those projects I've played on the good possibility that it fits the format of the show, and since we have played her work on Some Assembly Required, I invited her to be our featured artist this week. *Members: Me. Only 1 girl. 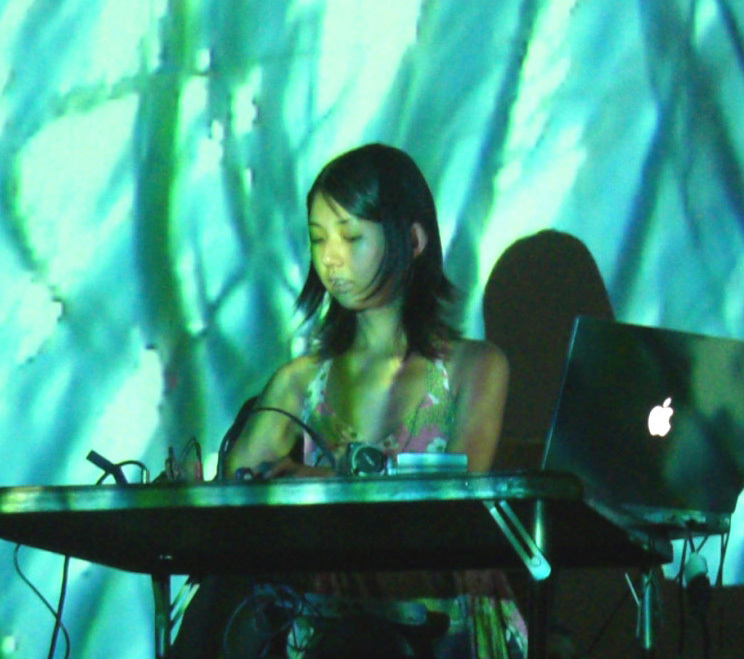 *Tape manipulations, digital deconstructions or turntable creations: The current official bio says "Sawako is a sound sculptor, a timeline-based artist and a signal alchemist." My old BIO says "broken processor + bug or hub or hug + or just a little girl" and "Tokyo Digital Mutation Girl." *Another genre descriptor: I don't want to put myself in any "official" genre, since it is possible for my music to be categorized under many different genres. And from my experience living in Japan and the USA and traveling the world, I can say that the genre categories are different between different cities and countries. I enjoy living in between categories, rather than settling down under one specific community. *Location: I am born in Nagoya, Japan, then grew up as an artist in the online community and in Tokyo. In 2004, I had moved to NYC where I am still living. *What is your creative/artistic background: My digital music activities had start with accidents - around 1999, I had started to take the computer music classes in the university because many of my friends were taking the class. I was in the interdisciplinary departments, so I was also taking biology class, computer science class, ethnography class, the pop culture critic class and so on. It was the era of mp3.com, and soon I got more and more friends through online music community - mailing lists, net labels and CDR labels. At that time, I wanted to be an art curator and was working at the art space in Tokyo. Although checking record shops in Tokyo at least 3 times per week at that time, I was not a big music fan and never be longing to be a musician. Just I was so fascinated the fact that my G3 iBook and free software (= which I could prepared within the collage student's tiny budget) can make the pass to the world. 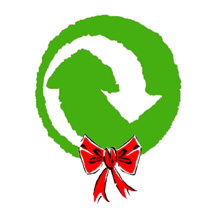 I kept making the handmade CDR for my friends all over the world, and my friend list became bigger and bigger. Until when I had released the already sold out 1st album, "Yours Gray,” in 2004 from Oregon based field recording label and/OAR, the label which was releasing the Phonography Mailing List Compilations for years, I never expected that so many people (for me) are interested in what I am doing, nor music became the center of my life. Then, I had released my 2nd album "hum" from 12k in 2005 and my 3rd album "madoromi" from Anticipate Recordings in 2007. In 2007, I had played in some big festivals such as Mutek (Canada) and Glade (UK). I have some (classical) music experiences such as 12+ years of piano lesson, 6+ years of Nohgaku lesson, 4+ years in the conventional band etc etc. But I feel the experiences as the programmer, the interaction designer and the art curator are closer and deeper to connect with what I am doing with audible media than the so-called musical experiences. *Philosophy / How would you like to be remembered: Originally, I skipped these questions, because the questions don't fit with my philosophy. I feel that I am closer to the Japanese "Mingei" designers than to the idea of the individualistic Western artist who is "creative," "doing something unique," "artistic," etc. For me, making things – from music, visual, and networked programming works to everyday food and accessories – is just like breathing in everyday life. Some of these works may disappear in the long term for one reason or another, but everything happens in the natural flow of subtle daily things. So I don't care whether what I do will remain in history or not, or how it is contextualized. I am a tiny existence floating in a big river. The only difference for me between cooking a meal for friends and making music is that, with music, I have a wider audience, influence and responsibility. It's been a great couple of years online - stay tuned for a new Q&A and in the new year, a linkable list of all the nearly 100 Q&A's which have been uploaded over the past two years! 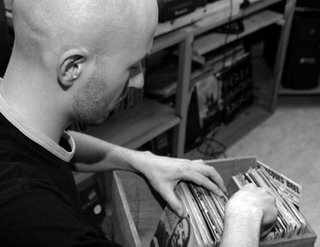 Wax Tailor is French turntablist Jean Christophe Le Saout. He started his musical career in the nineties, as part of the group "La Formule" and started working solo, as Wax Tailor, in 2001. He currently has two full length album's available. His debut release, Tales of the Forgotten Melodies, came out in 2005, and was followed by 2007's Hope & Sorrow. He often works with guest musicians and vocalists. Live, Le Saout mans the turntables with help from cello player Marina Quaisse, singer Charlotte Savary and others. Madwreck & Mattic (The Others), FP & Green T (A State of mind) have been known to join the lineup as well. For more information, check out his website and myspace page. *Do you use a pseudonym? Wax Tailor is the pseudonym. *Members: Wax Tailor is my solo project which features guest vocalists or musician. On the last album, I had the pleasure to work with Ursula Rucker, Sharon Jones or Charlotte Savary to name but a few. Then there's the Wax Tailor as a live show, which is more of a band because I tour with Charlotte Savary (Vocals), Marina Quaisse (Cello) and Marine Thibault (Flute). *Tape manipulations, digital deconstructions or turntable creations: I would just talk about a wax tailor. Of the three, tape manipulations might be the most appropriate, although it is restrictive because my influences often come from Movie dialogues I like. *Is there a story behind your name? I began to produce tracks with a sampler in the early 90’s, sampling some vinyls. I was building instrumentals around lyrics, so for me it was kind of costumes & I felt as a wax tailor. *What is your creative/artistic background: I was an MC/producer/manager in a French rap band called La Formule which had some measure of success in the early 90's. *History: 5 years now for this project. *Born: I was born in 1975 in Vernon. *Motivations: I never ask myself this question. Music is something natural & necessary in my life. *Philosophy: I don’t know if it’s a philosophy, but there’s the Hip-Hop culture that is the foundation to all I do. In a way you could say that I am trying to expand Hip-Hop's boundaries. It feels to me that previously Hip-Hop was a broader musical genre, and that it got defined in a very restrictive way. I'm hoping to give people outside of Hip-Hop a new perspective on this movement. *How would you like to be remembered: As a music maker & lover.